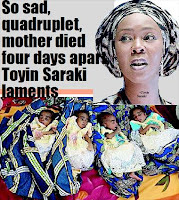 of a woman, after giving birth to quadruplets, should change healthcare in Nigeria forever Last month, medical professionals at Malumfashi General Hospital, Katsina State helped Gaje Zubairu bring the blessing of quadruplets into the world. The initial widespread jubilation at such wonderful news soon, however, gave way to sorrow. One of the babies passed away and was tragically followed four days later by Gaje herself. maternal mortality – particularly in Sub-Saharan Africa, which accounts for a shocking 99% of deaths which occur due to PPH. The distribution of this drug in Africa would have a significant impact on the lives of many mothers and we must consider how we can increase the accessibility of such interventions both in Nigeria and across Africa. Whilst both education about the importance of ANC and increasing access to life-saving drugs is crucial, we must also reflect on the realities of healthcare in Nigeria. With an estimated population of 191 million, less than 5% of the Nigerian population is covered by the National Health Insurance Scheme (NHIS). Some progress has been made – the National Assembly of Nigeria has wisely vowed to carry out a pro-health legislative agenda and, in July, Nigeria’s Senate President launched the Legislative Network for Universal Health Coverage to address “the issue of financing in healthcare in a sustainable manner to reach all Nigerians.” I trust that this network will pave the way for Universal Health Coverage and a health system which will provide the life-saving medicine and care which is taken for granted elsewhere in the world. Goodbye, Gaje Zubairu Women, children and communities in Nigeria deserve the best global standards in care. That will require a change in public policy, in attitudes and through better education, and improved accessibility of quality ANC. It will also necessitate the best in modern medicine being made universally available, so that our mothers are not left to bleed to death. 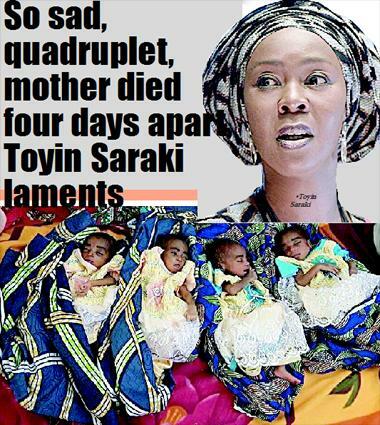 In the meantime, let us pray that Gaje Zubairu and her child rest in peace – and may we all dedicate ourselves to ensuring that their legacy is healthy mothers and children in Nigeria and across the world.